“Walk Through 1947. 2. 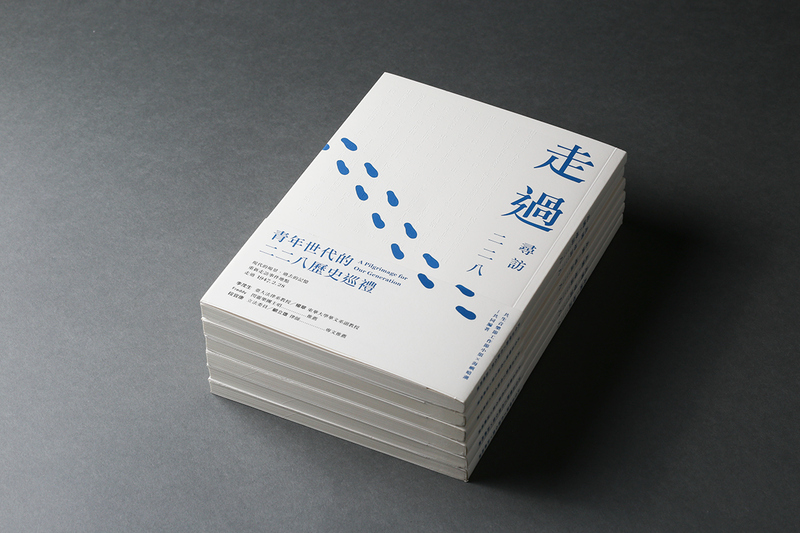 28” is a history book about 228 Incident in Taiwan. 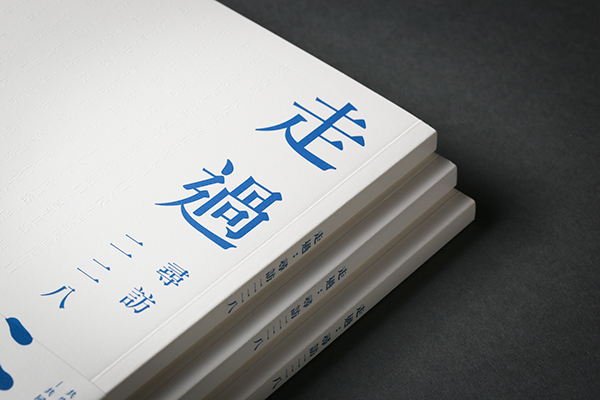 The editor group re-documented the interviews with the victim’s families to bring different perspectives to the young generation in Taiwan. For many years, 228 Incident is covered and avoided to being discussed by Taiwan's government. 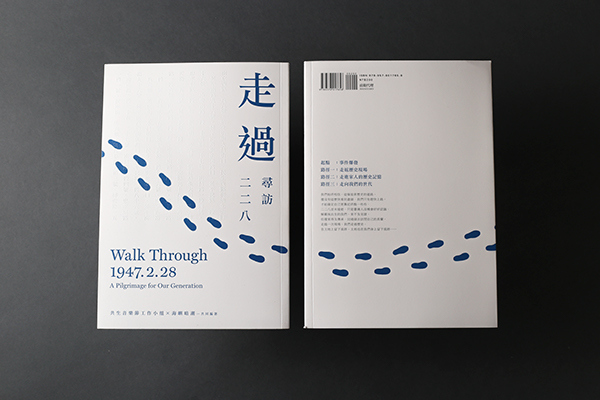 The editor group hopes this book would play an important role in the process of transitional justice in Taiwan’s history. The client, Island of Undercurrent, wants to have a cover which is not too historically serious but still has the sense of calmness and steadiness. So I focused on presenting the story of the journey. 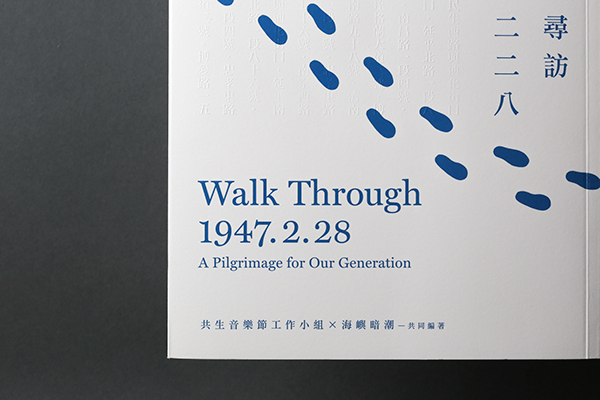 Using footsteps walking through blind embossing incidence’s addresses to represent to ideas of historic pilgrimage. 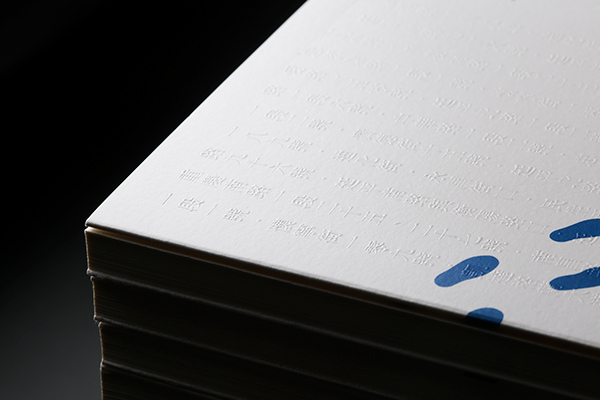 Also using bilingual design to balance the visual movement on the cover. The books were sold out in 228 Incident Music Festival on 2015. 2. 28. A Pilgrimage for Our Generation “Walk Through 1947. 2. 28” is a history book about 228 Incident in Taiwan. 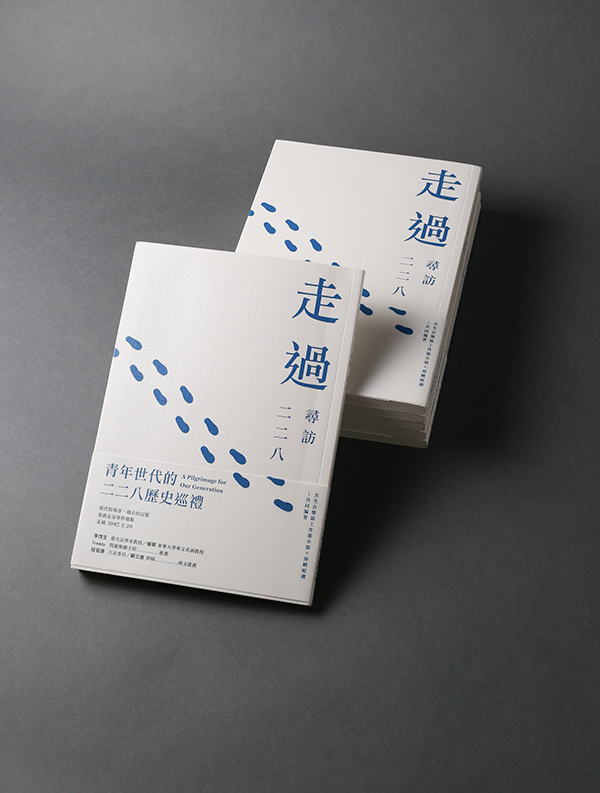 The editor group re-documented the interviews with the victim’s families to bring different perspectives to young generation in Taiwan. For many years, 228 Incident is covered and avoided to being discussed by Taiwan's government. 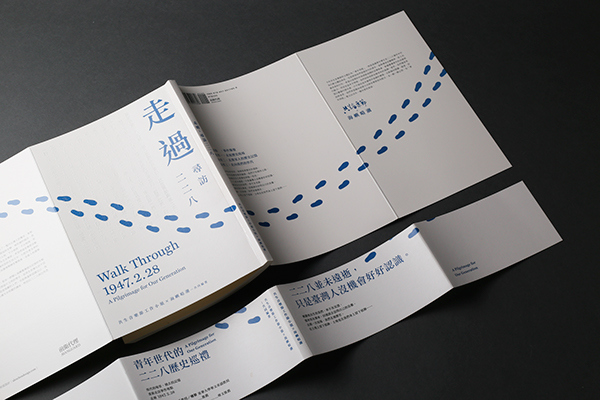 The editor group hope this book would play a important role in the process of transitional justice in Taiwan’s history.